The Prince's Trust Australia for a one day workshop designed to introduce transitioning defence personnel, veterans and family members to small business - a 'taster' before you take the leap into small business, entrepreneurship, consultancy, or further employment. The workshop is free. All that is asked for in return is your honest and detailed feedback at the conclusion of the workshop. Bookings are essential. Lunch and refreshments are provided. 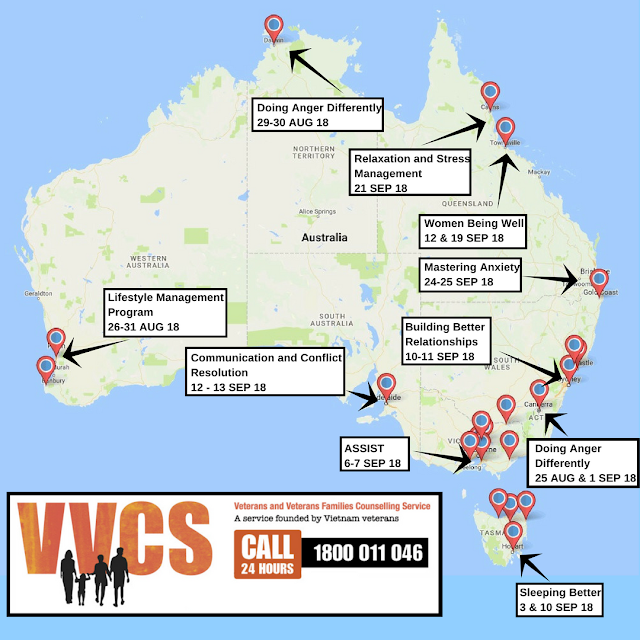 VVCS group programs calendar has been updated across both metro and regional Australia.